questions of style; his sharp directing is intuitive. artist's passion for the possibilities of his medium. The Dead (1987, John Huston) anamorphic R4 DVD? Am I right in thinking that Criterion's rumoured release of The Dead has been officially denied? I'm sure I read something about it, but now I can't seem to locate the reference. There needs to be a better transfer of the film than the so-so R2 Network release. The Dead was listed among several titles a member had asked Criterion. However, they said they'd hope to release several of the titles listed. This was not the case, however. I finally got around to watching my copy of The Misfits last night, and what struck me most was how profoundly sad it was. The melancholy of the lead performances worked perfectly in conjunction with the stark desert landscape. I've never seen such a heartbreaking performance by Clark Gable as Gay, usually his persona is so knowing and self-assured, but here that persona is subverted, as he goes from a man who simply lives life as he feels, to someone haunted both by the loss of his family, and by a world that has changed. His drunken breakdown is absolutely devastating. I suppose each of the leads is driven by similar sense of loss, I mean Marilyn Monroe's Roslyn is newly divorced, throughout the film her innocence and idealism are constantly being challenged by the often brutal practicality of the men around her. Eli Wallach's Guido is haunted by the death of his wife, and the death of his ambition, which is represented through his changing jobs, and his unfinished house. Montgomery Clift's Pierce is estranged from his family, his land, and I would argue his rodeo career which is nearing its end. These are all broken and lost people, who despite their protestations that about the ease and beauty of their lives, have no idea who they are, or what they are doing. Roslyn might be the closest to understanding herself, but her connection and concern for animals and people are constantly challenged and undermined by the harsh reality of the land and her friends. I found it interesting that the only scenes of outward joy occur when the characters are drinking. The paddle-ball scene, the celebration after the rodeo, the initial impromptu gathering at Guido's house. But all these scenes are quite brief as well, and the post-rodeo celebration ends with Gay's terrifying breakdown. The performances and the screenplay convey the sense of loss quite powerfully, and I think Huston's direction aids in this as well. The black & white photography is beautiful but stark, while his framing and composition are simple but effective. 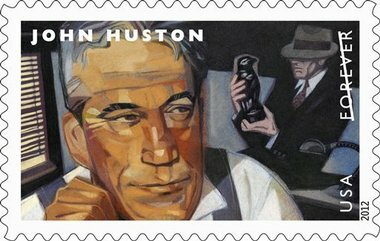 I really liked how Huston paced the film, letting scenes linger, and using close-ups, and letting the actor's faces and body language convey meaning above and beyond their dialogue. Also Huston's direction of the final sequence where they go "mustanging" is superb action directing, building tension, and capturing realism, and making Clark Gable look manly til the very end. I think the sense of melancholy was heightened for me somewhat do to extratextual interpretation. I mean it's hard to look at this film without thinking of the real-life fates of Gable, Clift, and Monroe. I mean Gable died 3 days after filming, Clift was dead within 5 years, and of course Monroe was dead a year later, with this being her final finished film. The fact that Clift and Monroe both had major substance abuse problems, and seem very much like tragic and disconnected figures gives their performances in the film an added realism. Then of course you have Arthur Miller who wrote the play while getting a divorce from Monroe, writing the screenplay and working with Huston on the set with his ex-wife in the lead. In addition to that you have John Huston's own heavy drinking and gambling while working on the film. I mean the whole production seems like a perfect storm of sorrow, addiction, heartbreak, and human suffering, which had to have contributed to making such a sad film. Talk about suffering for you art, but thankfully we have a truly great film left behind. DVD Empire has The Dead coming from Lionsgate on November 3rd. I wouldn't be surprised if it turns out to be 1.33:1. So I'm marathoning some Biblical epics over Easter weekend and since I'm going in chronological order of events, Huston's the Bible... In the Beginning was up first. I wasn't expecting much but I really got into the somber groove of Huston's film. It's long but deliberate rather than slow, and I was surprised at how dark and lowkey the overall affair was (excepting Huston's own Noah, of course). I wouldn't say the film is overtly pessimistic or skeptical, but it does present many more of the lingering questions concerning God's wrath in the Old Testament than a fawning MOTW Biblical adaptation would. Huston's comparatively upbeat narration throughout is tonally removed from what his film shows as well, drawing the distinction between the expected sanitization and the literal transcription of the source material. Of the few films I haven't seen yet that Huston directed, FREUD is the film I most want to see. Regretably, it is not on DVD. I am hoping that Cronenburg's film, A Dangerous Method, starring Viggo Mortensen as Freud may get it released. If anyone has seen it, I would like to hear what you think about it. Thanks. Huston's Freud is an amazing film, I feel. Clift and York both give superb performances. Douglas Slocombe's moody, Noirish cinematography and Huston's patient, steady hand make for engrossing viewing. I have a DVD-R from rare TV broadcast. I'm sure my version only runs 120 minutes, but the link to BAM says that their print is the original 140 minute cut. I have no idea what cut from Huston's version. Do his biographies mention anything? Cronenberg's movie on Freud sounds interesting, I hope it gets made. Ha, yeah Ford is a third one, which I posted a couple weeks ago. The fourth has not yet been announced. Anyone care to place any bets? Can anyone recommend an edition of Huston's Let There Be Light please? It's mentioned above as being in a "WWII Ultimate Collection" but there seem to be several collections with that title. It's available singly but from labels I don't know or distrust. It is included in this collection but I'd need it to be region-free - does anyone know for sure? According to Amazon, that release has potential firmware issues too and my Blu-ray player is an early machine that has never been updated. If Moulin Rouge is to get a Blu-ray release, there is an audio commentary with Oswald Morris, Angela Allen and John Huston's secretary, Jeanie Sims, waiting to be used. Let's hope it does get a Blu-ray-- one of the most gorgeous films ever to come out of the studio system, and that's saying something! The Digital Fix on the new UK disc of Freud.